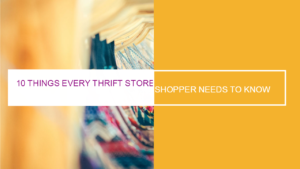 Keep in mind that most thrift stores won’t let you return anything, so you’ll want to check items carefully before buying. Some thrift stores mark electronics with a special sticker if they’ve been tested. You can also carry fresh batteries in your purse if you think you’ll be shopping for items like clocks or electronic toys. Here are some tips to help you get the most out of thrift store shopping. Regularly take measurements from the clothing that fits you and your family members, then carry a pocket tape measure with you. Sizes aren’t always a good indicator of whether something will fit. People often donate clothing because it was too big or too small for its marked size, or because it shrunk a lot when it was washed. These items may look like new because they were never or rarely worn. They may even still have tags on them because a buyer missed the time period to return an item and ended up donating it. I’ve gotten pretty good at judging from sight whether shirts will fit me or my girls without looking at the size. However, I do use a tape measure for some items, such as jeans for my older daughter. The Goodwill stores in my area have bins that are gold mines of cool stuff. Visiting the Goodwill bins is almost like Christmas for me. I never know what I’ll find. Everything in the bins is $1.49 or less. Looking through the bins is time-consuming. I do a lot of searching to find a few great items, but it’s worth it. I’ve found quite a few clothing items in excellent condition – some even new with tags still on them – in bins. If you have any interest in looking at shoes in a thrift store, be sure to wear Crocs or some other type of shoe that slips on and off easily. Wear or take socks or nylons with you. When it comes to clothing, it amazes me how often I’ll find a name brand sweater for around $4 in a thrift store that just needs a good shave. It leaves the store looking terrible. I’ll spend 15 to 30 minutes shaving it and end up with a sweater in excellent condition. 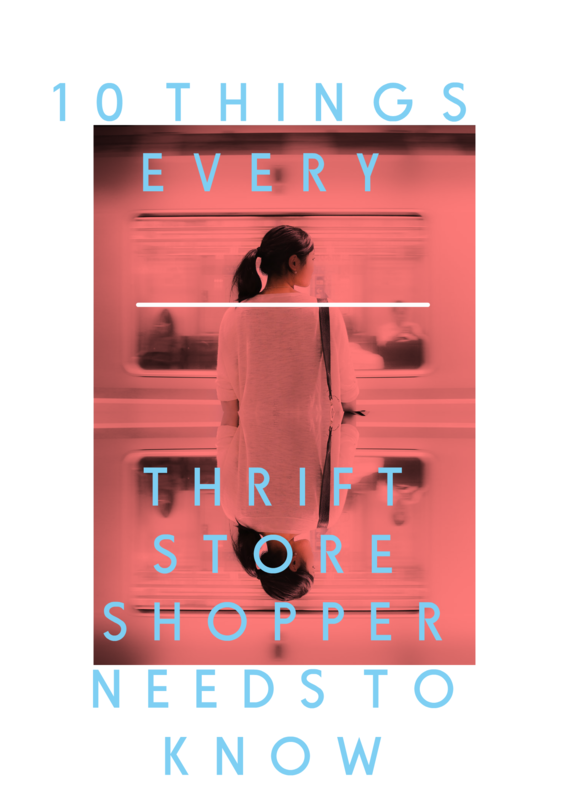 Most thrift stores don’t knowingly sell broken toys or electronics, but you’ll find clothing all the time that isn’t up to snuff. 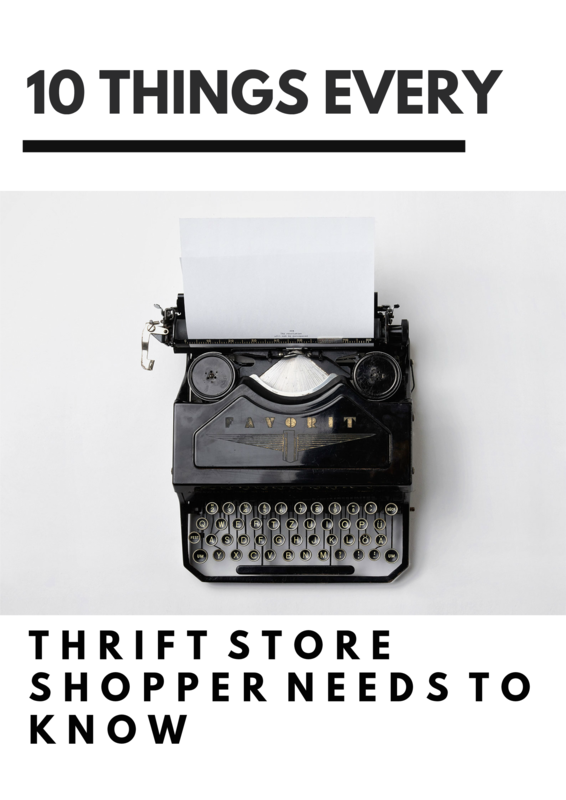 Here’s my list of what can and can’t be fixed when it comes to thrift store clothing. Repair minor tear along a seam. Remove a non-ink stain on white fabric (with a Clorox Bleach Pen). Do anything about faded, worn looking clothing. 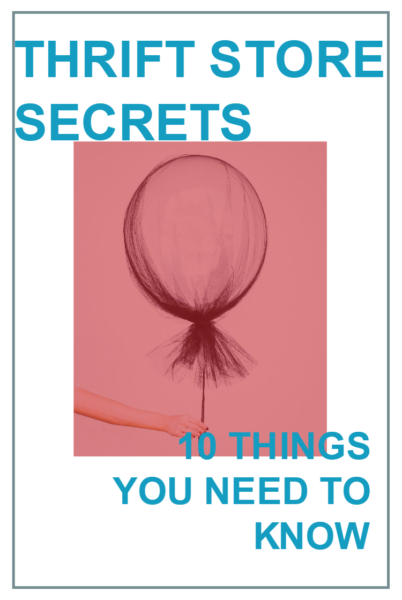 Repair tears that aren’t along seams or major rips anywhere. Remove stains on non-white fabric. Remove any ink stains. Once it’s been washed and set into the fabric, ink isn’t going anywhere. 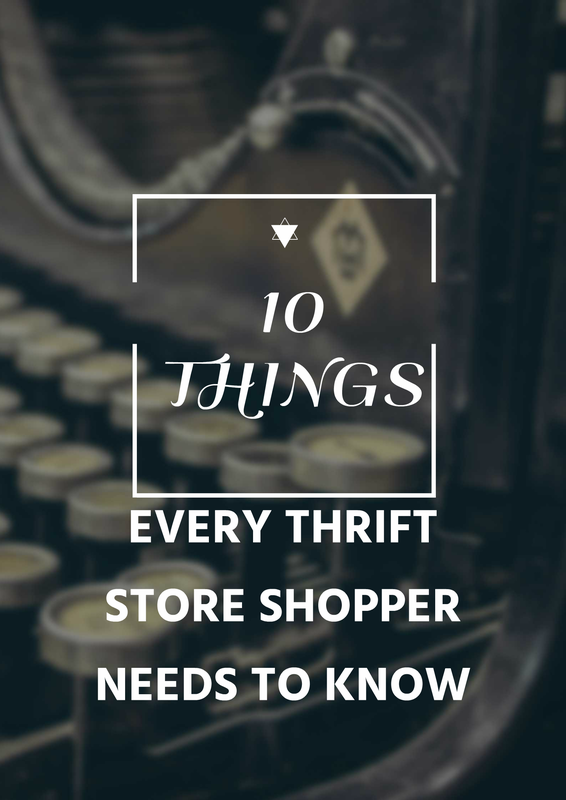 For many thrift stores, shopping early on weekdays is key to getting the best stuff. Weekdays are also when people with a lot of time on their hands, such as retirees, glean the prime products. Personally, I can only shop on weekends, and I do pretty well even though a lot of good stuff is already gone. I’ve done far better, though, on occasions when I’ve shopped during the week. 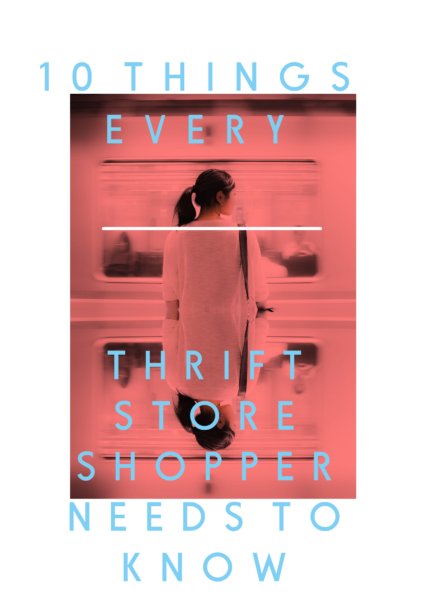 If the store is staffed by volunteers, as some charitable thrift shops are, check to see what days of the week they’re closed, and shop the day after. For example, if a store is closed on Sunday and Monday, try to shop on Tuesday if you can. A perk for volunteering at a charity thrift store sometimes involves shopping the store during times when it’s closed to the public. That’s also the time when a lot of restocking will occur. It’s great if you can swoop in after the major restocking, even if the volunteers have snagged some of the best deals. They deserve it, don’t they, for working at the store for free. Though the Goodwill stores in my area don’t have sales, the other thrift stores have them regularly. My favorite thrift store has a special sale daily, plus items with a particular color of tag might be half off or cost $1. One day I was finding a lot of books for my kids that would normally cost 50 cents for paperbacks or $1 for hardcover. I was thrilled to discover that books were on sale that day, five for $1! How you can find out about sales depends on the store. Some have Facebook pages you can like or email lists you can join. The store might also have a website with its sale calendar posted online. I’ve learned a lot about clothing brands from shopping at thrift stores. One thing I already knew that became glaringly apparent – high-end designer brands aren’t necessarily better quality than Walmart brands. Brand name clothing from some mall chain stores regularly looks terrible in thrift stores. If a certain brand always looks bad after it’s donated, that tells me a lot about the brand’s quality. These items get donated because they wear out quickly. 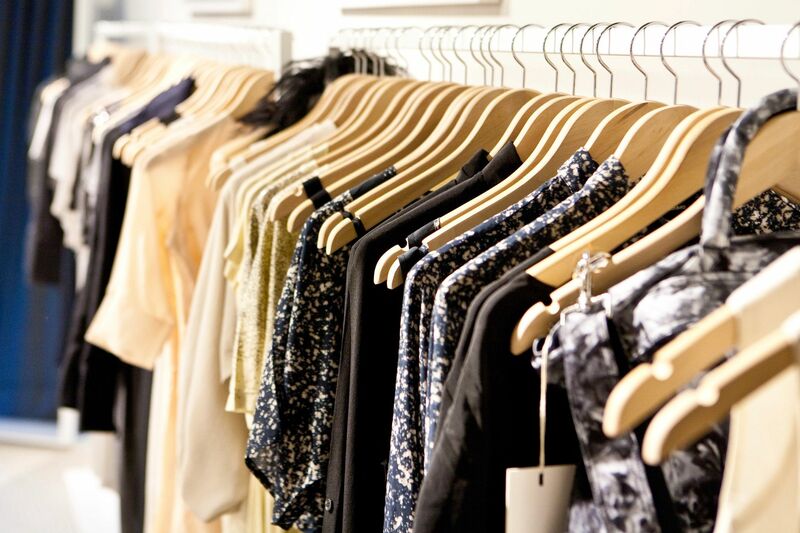 I can find Lee pants and jeans just by walking down the appropriate aisles and glancing at the racks. I’m also pretty good at spotting a pair of Crocs by looking over the shoe selection. 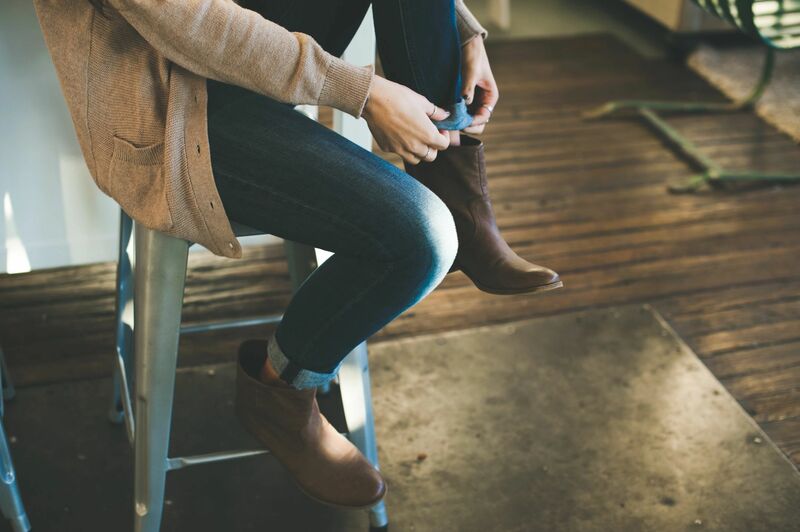 If you have favorite brands of clothing or shoes that have anything distinctive about them, see if you can teach yourself to recognize them without combing through rack after rack of clothing. You’ll save yourself a lot of time that way. This is also helpful for book series. My eyes became trained to easily spot Wimpy Kid books and a few other series that have been favorites of my daughters. If you’re shopping with a young child, let her pick out a book and a cheap toy – and they’re all cheap at thrift stores. One day, my daughter bought herself a Barbie RV with her own money. It would cost around $100 new. She paid $4 for it. Usually, I let her pick a book and a small toy to play with while I’m shopping. She’s so outgoing and friendly that she’ll often find other kids there to play with. If you buy something that doesn’t work out, don’t re-donate it. Resell it to make some cash. 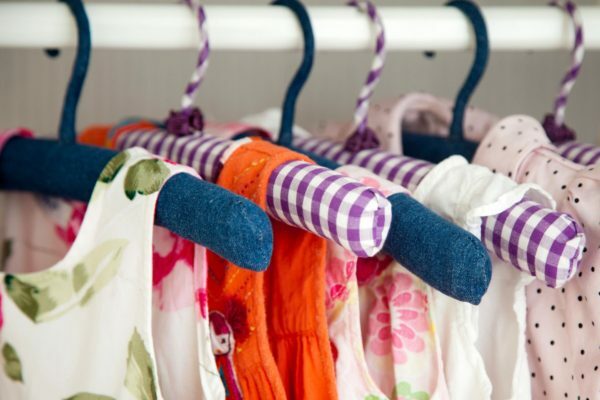 You can also sell some clothing brands after your kids outgrow them, provided they’re still in excellent shape. Try to avoid re-donating something that you didn’t end up wearing or using. I’ve even resold some of my daughter’s thrift store toys once she tired of them. Certain dolls such as Baby Alive and some electronic toys can sell for more than what you paid for them at a thrift store. HOT! Gymboree Coupon Code Expires Soon!